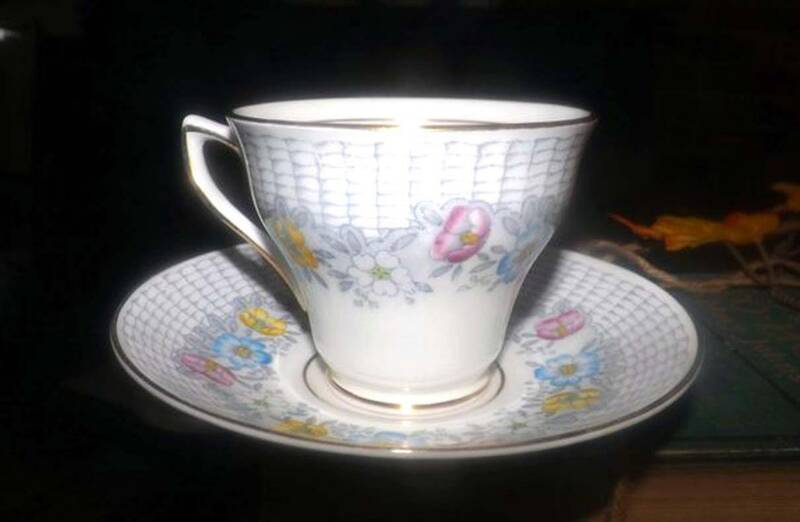 Early mid-century (later 1940s) Rosina China England hand-painted tea set (footed cup with saucer). Multicolor florals, grey trellis. 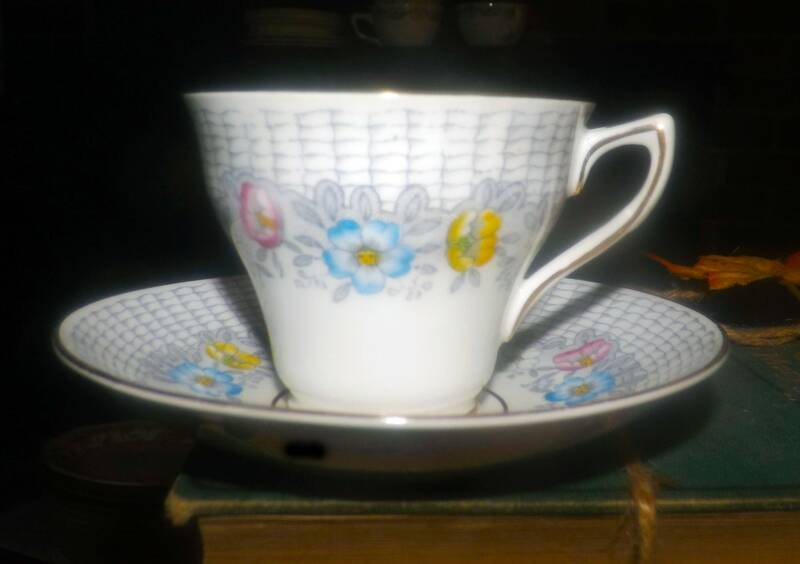 Early mid-century (later 1940s) Rosina China England hand-painted tea set (gently footed cup with matching saucer). 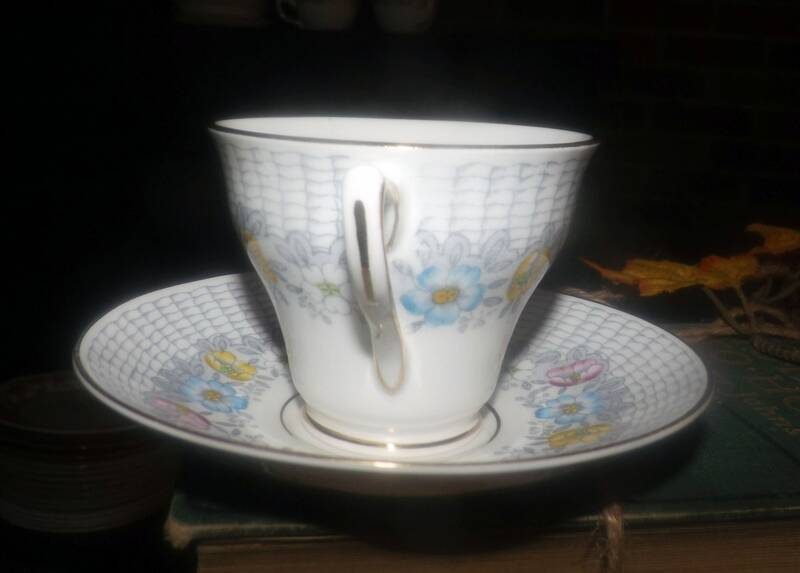 Pink, blue, white and yellow florals with a grey trellis border on white and a smooth, gold edge and gold accents. In EXCELLENT! condition with NO! chips, nicks, cracks or fleabites, LITTLE TO NO! crazing, NO! loss to the smooth, gold edge or accents and NO! marks or stains. 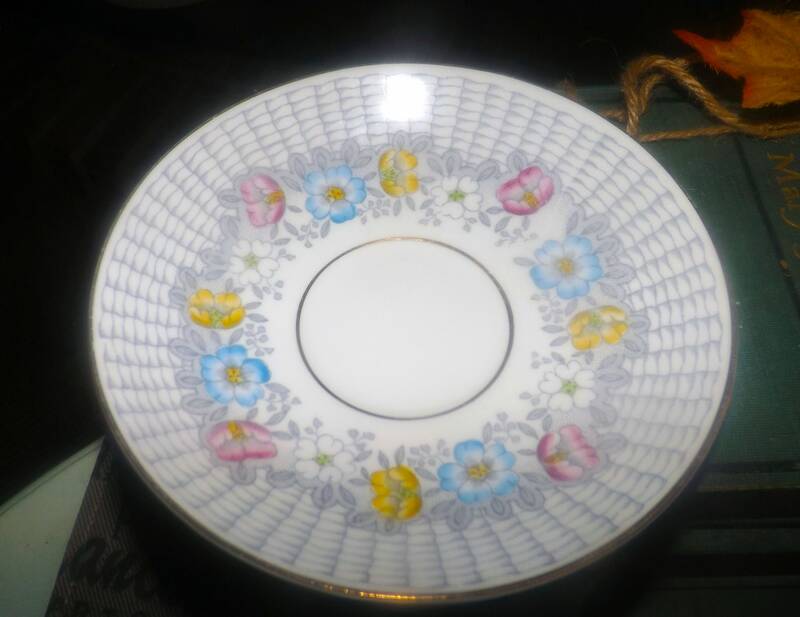 The florals and trellis pattern are bright and vivid with NO! fading apparent. 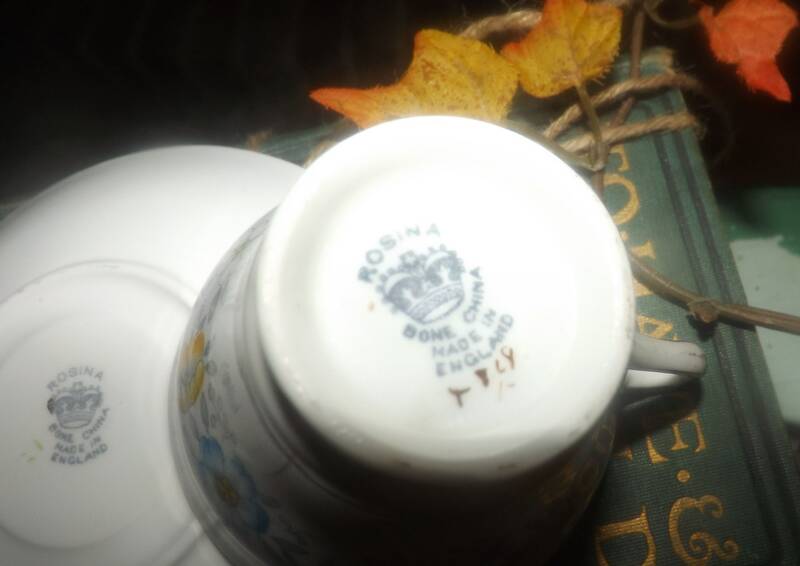 Artist's brush marks in green to base of saucer - gold artist's mark, T 868, to base of cup in gold. Wonderful mom gift! 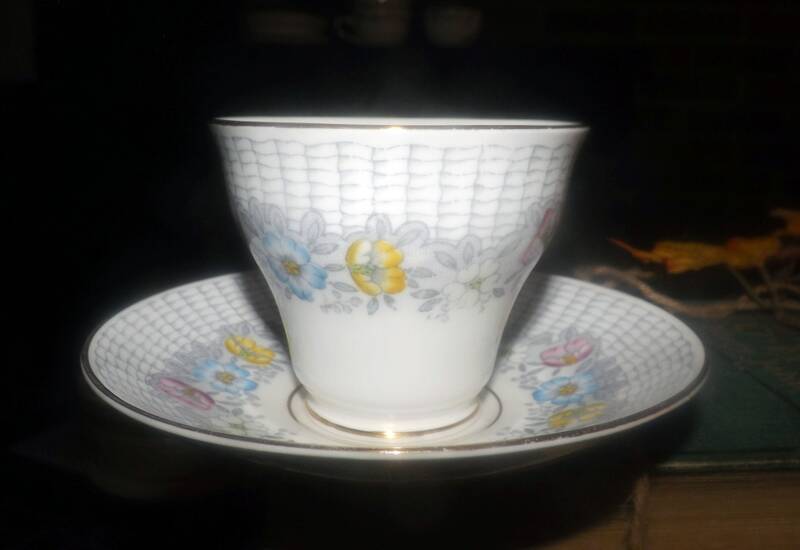 Approximate measurements: gently footed cup stands 3" with a 3-1/4" diameter bowl | matching saucer is 5-1/2" in diameter (measured edge to edge). 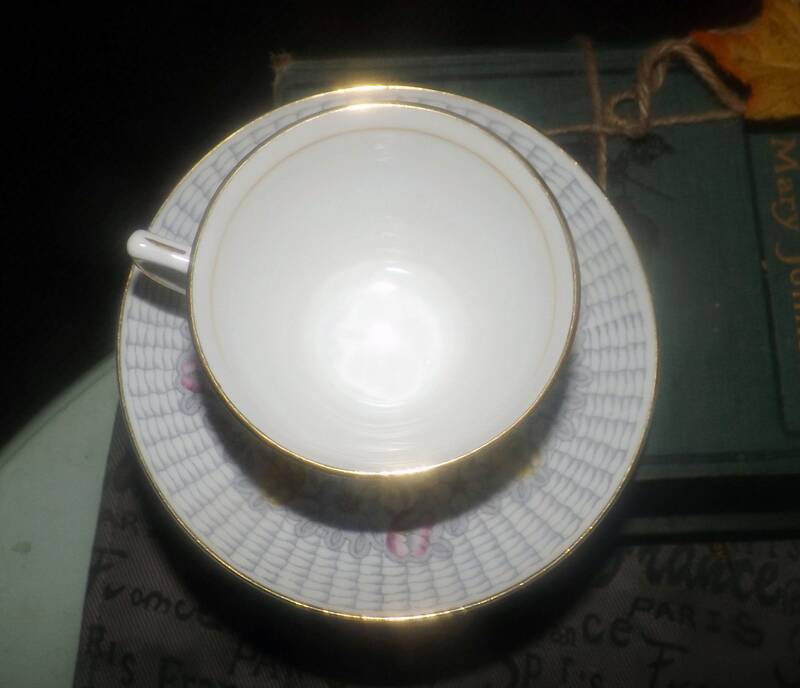 Both cup and saucer have a smooth, gold edge.